We are a group of people focused on education - and creating a dialogue for Peace. We are diverse, steadfast individuals who stand determined to help rescue and preserve the nearly one million Ancient Manuscripts of Mali, an historically important educational legacy. To view our "333" trailer - click on the photo of the white Manuscript to the right above. Our purpose is to increase global awareness of the Ancient Manuscripts of Mali through films, press coverage, and advertising, with the goals of digitizing the original Manuscripts, then translating those digitized Manuscripts into additional languages so that they may be viewed universally, while preserving the original documents for posterity in climate controlled libraries in Mali. Much as the Dead Sea Scrolls were heralded as the great Manuscript find of the 20th Century, the Manuscripts of Timbuktu may prove to be the most important revelation of the 21st Century. Just as the Dead Sea Scrolls have illuminated the puzzle pieces of Christianity and Judaism, the Manuscripts unlock significant insights into Islam and its roots, which are shared in common with Christianity and Judaism. The Manuscripts reveal that both the killing of others, and self-immolation, lie in polar opposition to Ancient Islamic Doctrine, and thus are antithetical to God’s decrees. And the violation of those Ancient Doctrines, in itself, prohibits the transgressor from entering Heaven. This message, found in the Manuscripts and examined in the Documentary Film “333,” will change people’s thinking and, ultimately, save lives around the World. 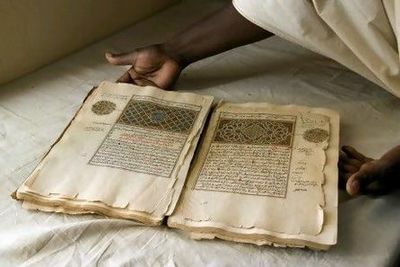 Influenced by traditional West African thought and by scholars from around the world, nearly one million Manuscripts of Islamic Doctrine were recorded in Mali from the 12th through 16th Centuries, and have been passed down from generation to generation. These Manuscripts span diverse topics, including: architecture, astronomy, chemistry, healing, history, humility, jurisprudence, legislation, mathematics, medicine, music, mysticism, philosophy, religion, women’s rights, children’s rights, animal rights, and most important, the peaceful resolution of conflict through dialogue, tolerance, understanding and forgiveness. 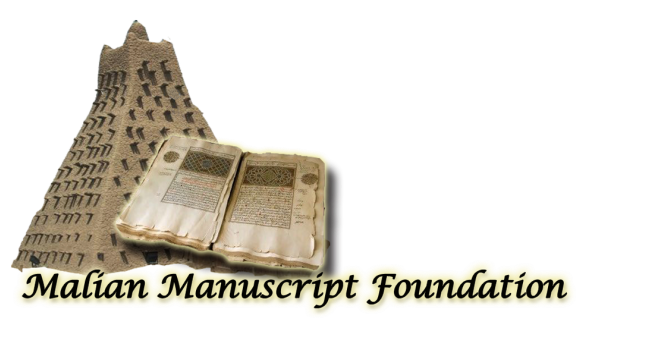 Our Documentary constitutes a “call to action” to others to assist Mali in the preservation and translation of its endangered Manuscripts. Preservation will enable future generations to contemplate the ideas and ideals of these important documents. Although the original Manuscripts will remain in Mali, the translations will serve as a “roadmap” to peace and understanding for all mankind. Extending familiarity with these teachings will enable the World to better appreciate our differences, and hence to better understand our sameness. Set amongst the colorful sights and sounds of Mali, the Documentary Film “333” explores the mystical city of Timbuktu, that once-flourishing and previously celebrated center of learning, and birthplace of the Ancient Manuscripts, that today sits as a humbled region. The art and culture that inspired and sustained the intellectual society that created the Manuscripts are examined, as well as the intricacies of the ancient gold and salt trades that paid its bills. Islamic scholars known as “The Ambassadors of Peace” and their “Circle of Knowledge,” a daily meeting that has taken place before sunrise for nearly one thousand years, are featured in the Film. YOU, our supporters, are crucial to our efforts to save and preserve the Ancient Manuscripts of Mali. We cannot go forward without your participation in this critical mission. Let us save the Manuscripts and then plot our course for global peace. The need is urgent, the time is NOW ! "Ambassadors of Peace" in a "Circle of Knowledge." Ambassadors of Peace in a Circle of Knowledge. They are sitting around a Palaver (Talk) Tree - and will not leave until they have resolved their differences.